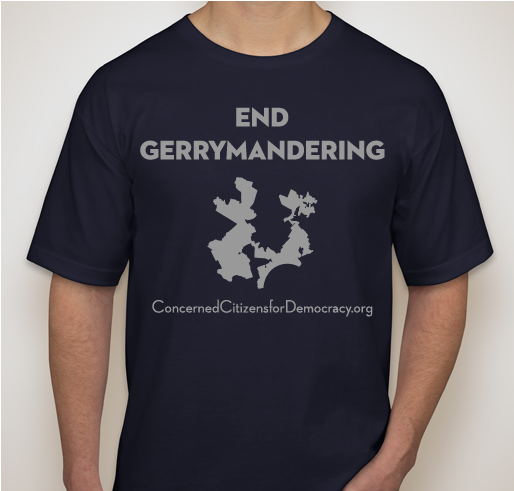 Buy a shirt to support Concerned Citizens for Democracy in our fight to end partisan gerrymandering in Pennsylvania and beyond! All funds raised will be paid directly to Concerned Citizens for Democracy for litigation expenses incurred in the Agre v Wolf case (trial and appeal), such as filing fees, court costs, software modeling and data analytics, and expert witness fees/expenses. . This fundraiser is about raising awareness about our judicial efforts to end partisan gerrymandering in Pennsylvania, and raising money to that end. Concerned Citizens for Democracy is a grassroots organization comprised of volunteer lawyers, mathematician, computer scientists and activists. We became a Pennsylvania non-profit association in the summer of 2017. Our mission is the ending of partisan gerrymandering and the restoration of our democracy through the judicial system. We have successfully devised a nonpartisan set of principles for redistricting congressional and other legislative seats that creates a workable standard for any court in any state with any number of districts. Help us restore competitive elections and representative government! We all must support the effort to restore fair voting. We are in the infamous 7th. Thanks for this important work. I am an active participant in my community through H-CAN and other channels and care deeply about this fundamental foundation of democracy. Thank you for all you are doing. So every vote counts! Thank you! 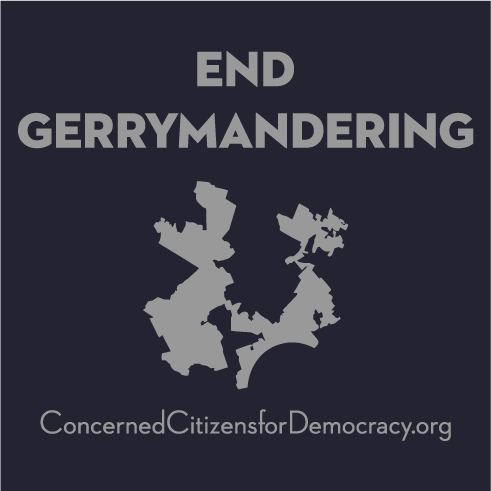 Share Why You Support "End Gerrymandering"